This blog's closing post for calendar 2011 concerned Brisbane's proposed Roman Catholic cathedral that was never completed and its prime mover, Archbishop James Duhig. Today's post is the last one for a rather disrupted* 2016 and it again features a building connected to Archbishop Duhig. 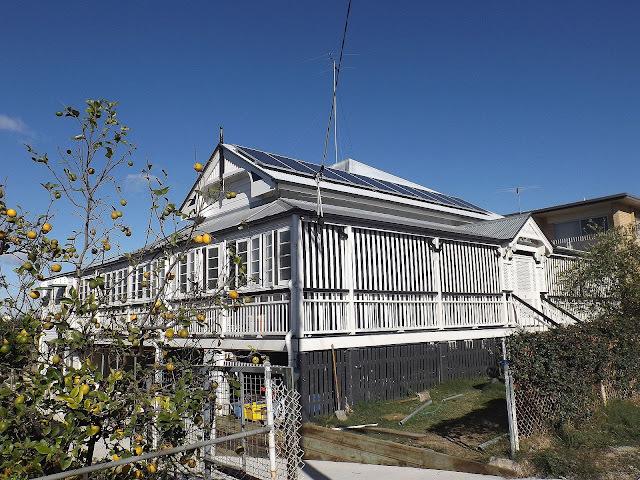 But a comparison of the two buildings could hardly be more striking, for today we are looking at a humble dwelling that was Archbishop Duhig's boyhood home, Killila, situated in Lutwyche, a near-northern suburb of Brisbane. Thirteen year-old James Duhig arrived in Brisbane in 1885 in the company of his mother Margaret, a widow, and two siblings. Even though three older siblings had preceded them to get established, the family was not able to purchase a house at that time and so lived in various rented accommodation at Paddington, Spring Hill and Petrie Terrace. When James started work as a clerk in the city, still not yet fourteen years old, his weekly wage helped the Duhig family pay a deposit on a relatively new cottage at Stoneleigh St Albion, now Lutwyche. When they moved to their new residence in early 1888, they named it Killila Cottage after their former home in County Limerick, Ireland. Even at that age it appears that James had an eye for real estate as he advised his brother by letter that the family had purchased the property for £250, but that they "could double our money at any time". The house must have provided young James with opportunities for self-reflection because it was during his years there, and while working to augment the family budget, that he began to think about the priesthood as a vocation. He went back to school in 1890 to prepare for five years of religious instruction in Rome, and finally returned to Australia in 1897 as a Catholic priest, destined to become one of the most significant and influential (and controversial) Queenslanders of the twentieth century. And what of the house? Margaret Duhig lived there until she died in 1901, and the house remained in the family until 1937. 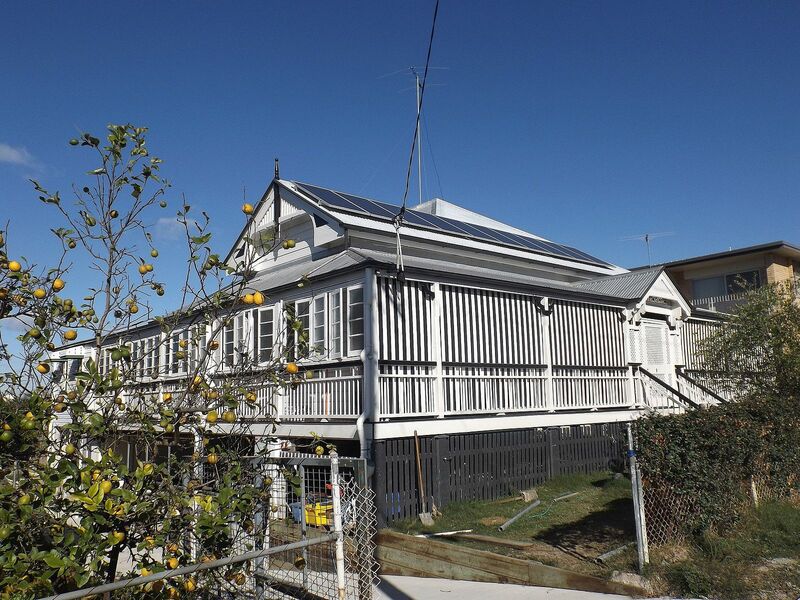 The former Duhig residence still stands and is listed on the Queensland Heritage Register. An internet search indicates that the property sold in November 2011 - click here for details and some interior photos of the house. *A few months ago my closest friend passed away after suffering a brain tumour. I don't really have the words to adequately describe our relationship here, but we first met 50 years ago this month and in the intervening time we worked together at two different employers; we lived together in a couple of houses during our single days; he was best man at my wedding and I was MC at his; we travelled overseas together with our spouses; and I am the proud godparent of his only child. He is sadly missed by his wife and daughter and I share their pain at his passing. He was a good man - intelligent, witty and generous - and is a great loss to many. Just a note to say thank you for your blog and sorry to hear about your friend. I am normally a lurker but really appreciate the work you put in here. Thanks Meg - I appreciate your thoughts. I looked through this house when it was for sale. It was a beauty. Loved the coloured glass windows. I think it's been restored. Loved this article! Have saved it as a reference. No longer Eclectic Street (now liberal eclectic.com.au). When I was little there was a magnificent stylish hotel in Queen St and I was sure it was the Chalrton, Carlton, Chambers?, something starting with C but bot the Criterion it was definitely in Queen St - would anyone know what is was called. Also I would love to know where all the rich graziers stayed and dined when they came to Brisbane?